Mount St. Helens has held a special place in the soul of the Pacific Northwest since its eruptions in the 1980s. Many of us parents are old enough to remember following the saga on the news, and remember where we were on the day of the big eruption. We find it fascinating to visit this unique landscape, and if you’re like me, our children also find the mountain intriguing. 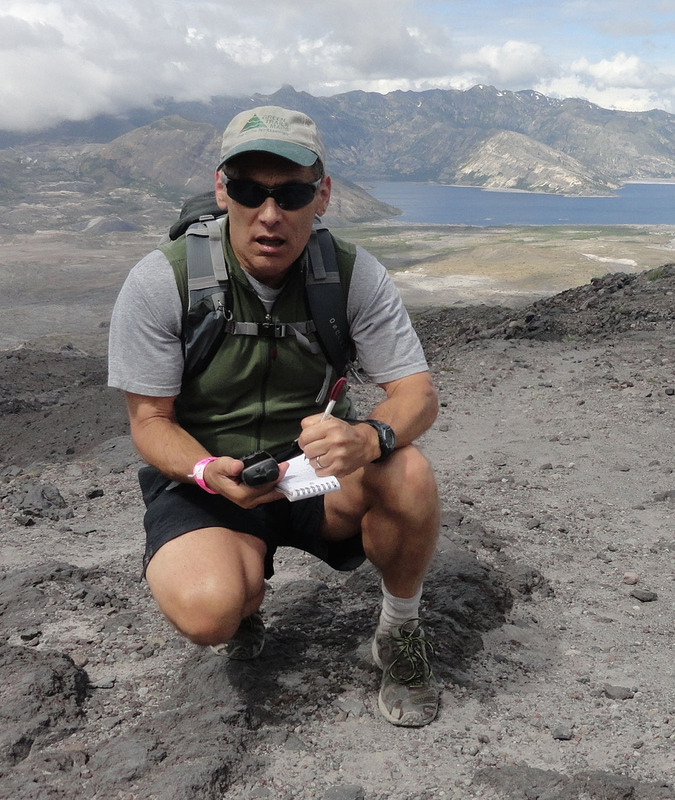 Craig Romano and Aaron Thiesen have recently come out with a new hiking guide for the Mount St. Helens area. 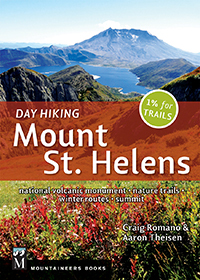 Mountaineers Books graciously sent me a copy of Day Hiking: Mount St. Helens for review, and I’m delighted to recommend it to families wanting to make a trip to our most active volcano. A hiker admires the Pumice Plain from the Boundary Trail on Johnston Ridge, by Craig Romano. As with the other books in the Day Hiking series, this one has a wealth of information about each trail. You’ll find a detailed description of what you can expect to encounter on the trails, comprehensive driving directions, elevation gain and mileage, notes about interesting features, whether the trails are family- or dog-friendly, and what specific maps and permits you’ll need. I was pleasantly surprised to find that this book contains information about trails in the lowlands west and south of the Mountain, not just within the National Volcanic Monument. Families and others who are looking for closer hikes near the southern part of I-5 will find several options close to home. 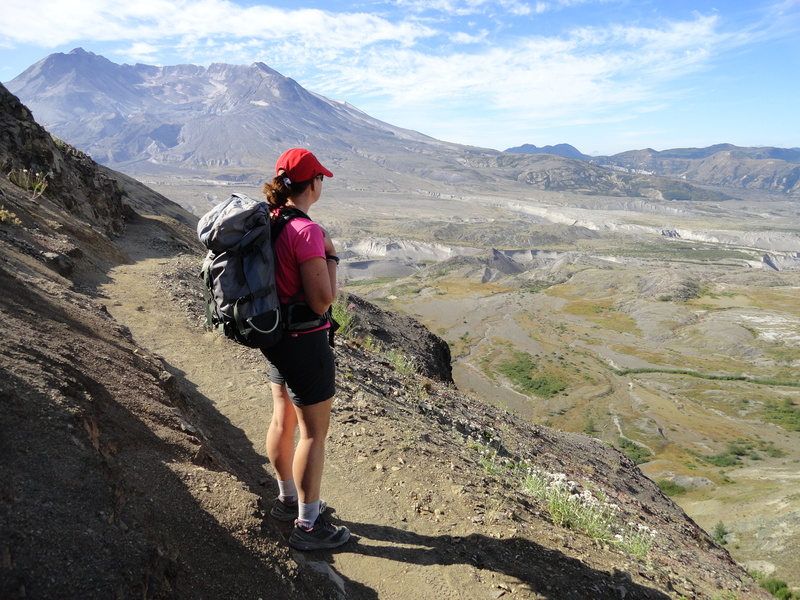 Day Hiking: Mount St. Helens also includes separate sections for backpacking trips, cross-country skiing and snowshoeing trails. The authors describe the various visitor centers and campgrounds. 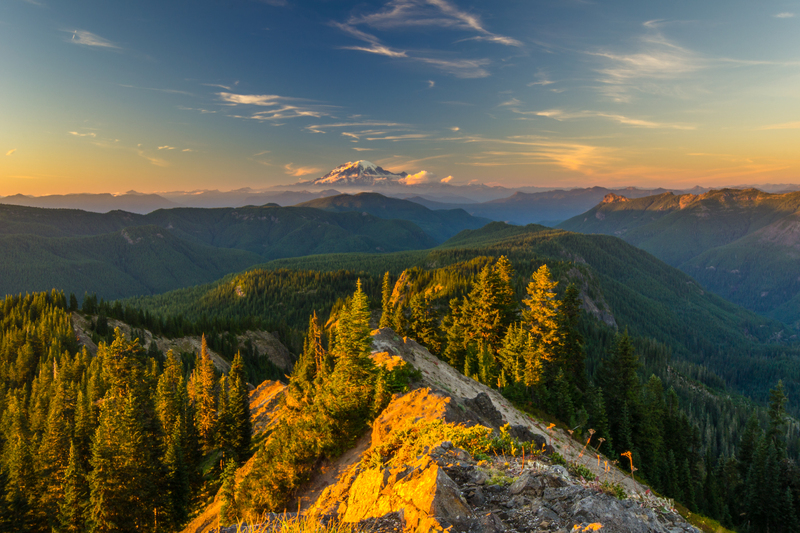 Families will appreciate the attention to shorter nature trails, such as the Eruption Trail and the Birth of a Lake Trail, as well as more rugged and longer trails within and around the monument. They’ve detailed the summer and winter climbing routes. And as with all of Craig Romano’s books, the authors have hiked every mile of each of the 95 trails they’ve included. Craig was generous enough to answer a few interview questions for my readers. Hiker Mama: How long did it take you and Aaron Theisen to research this book? HM: What would be your favorite trails for families with children? What areas should families not miss? CR: Great family friendly hikes include all of the wonderful nature trails and the following: Hummocks, Johnston Ridge (Boundary Trail) the first mile or so from the Visitor Center; Ape Cave, Volcano Vista, Ghost Lake, Plains of Abraham, Independence Pass, and Cathedral Falls. HM: Do families need to know anything special to prepare for outings in this area that they might not think of compared to other areas? CR: Lack of shade is an issue in the blast zone- loose pumice and rock can be an issue on some of the trails, and instability of the terrain means that storms and winter can be harsh on the trails. HM: Can you tell me a wonderful memory you have from your hikes around the mountain? Was there anything that surprised you? 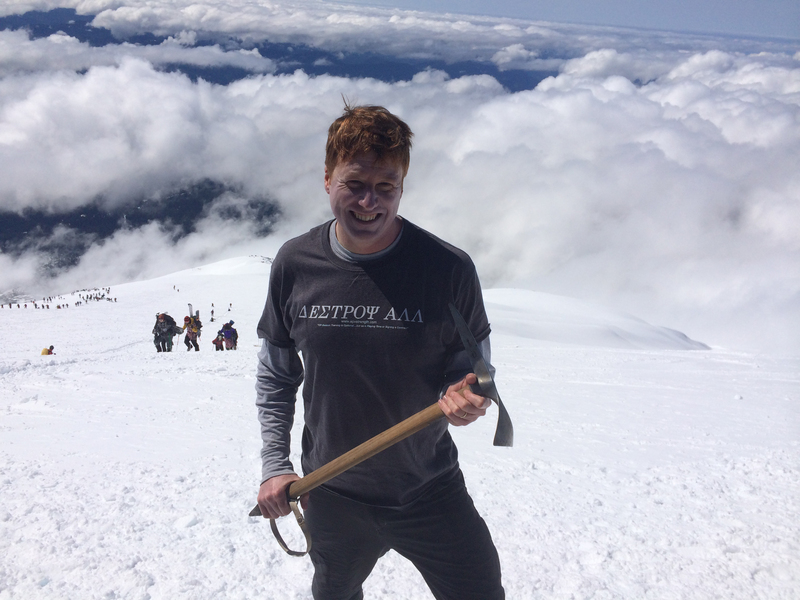 CR: I have been hiking the Mount St Helens areas since 1989 and I am constantly blown away by how fast the area is recovering and changing. It is just so amazing to see both the pure destructive forces and healing forces of nature at the same time. The wildflower and wildlife viewing at St. Helens is on par with Mount Rainier and Olympic National Parks. PS: Check out Craig Romano’s website and Aaron Theisen’s website for more inspiration! Disclaimer: I received this book for the purposes of review. All opinions are my own.